The people behind the machines make CCI work. At CCI you will find the personal attention of a family business combined with the capabilities and experience of a national firm. 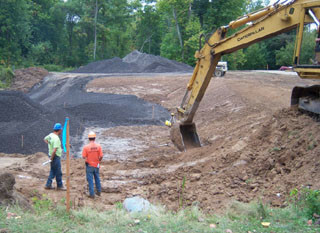 We are in our second generation of delivering heavy, highway, and civil construction services. 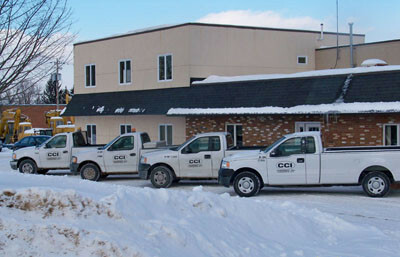 Formed in 1993 by Doug Fusillo, Jack Romagnoli, and Jerry Romagnoli, CCI grew out of Canastota Constructors, Inc., which was established in 1975 by their fathers, John Romagnoli and Vito Fusillo. Our founders worked their way up from the trenches (literally), gaining first-hand knowledge of the construction trades. Headquartered in Canastota, in the heart of Central New York, CCI builds on 35+ years of John and Vito's success. Today CCI is a multi-million-dollar firm poised to become one of the Northeast's leading heavy, highway construction firms. CCI's leadership brings unparalleled experience with lessons learned from literally hundreds of construction projects. For example, veteran estimators Al Lytle and Jim Lesniak bring the benefits of nearly 100 years of combined construction experience. But we don't live on past successes: CCI continuously searches for young, creative, hardworking, and motivated construction professionals to lead CCI in the 21st century. Technological innovation is our passport to future success — a success measured by economies in time and money for our clients. CCI's ongoing and comprehensive safety and training programs enable us to protect our own employees as well as the community at large. Our drug-free work practices not only comply with OSHA standards and requirements, they also aim to protect the environment and foster sustainable communities. With an EMR of 0.80, CCI demonstrates a commitment to safe working conditions that value our employees. 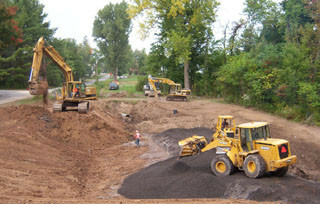 CCI was named Contractor of the Year in 2006 by Central New York's American Public Works Association (APWA) for its excellence in construction.